As prom season approaches we know what you are thinking about. What kind of dress you’re going to buy as well as how you are going to do your makeup. And it’s not just about the date you are going to bring to the prom; it’s also about the hair. In fact, the hairstyle that you choose for your evening is quite a big deal because it will showcase your dress and makeup as well. It’s a package deal. It’s an exciting time for you and we know how you are feeling. 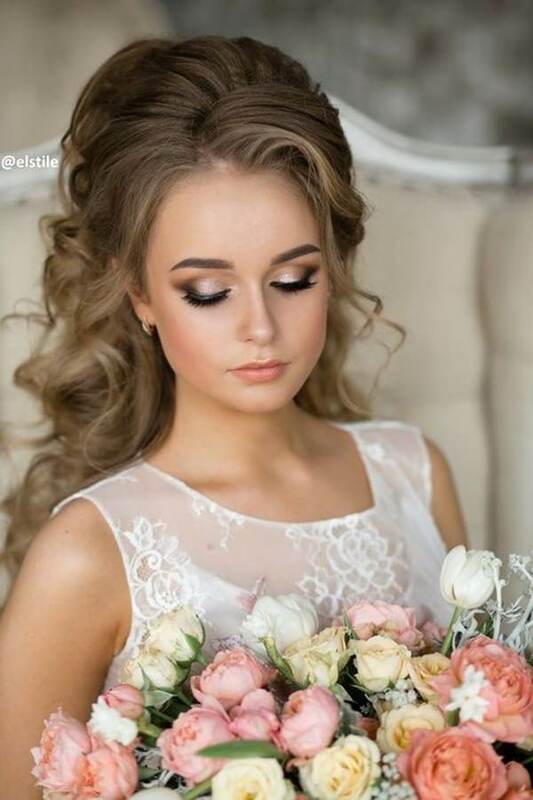 You want everything to be perfect and you want to look perfect for your special night. Girls think and even obsess about prom because it means a lot to them. You want to have a special night and having your hair done is all part of that experience. There are just so many choices for how you can do your hair that it can make it hard for you to decided what to do. You have to find the perfect hairstyle and time is slipping away. But we can help you. You have many options available depending on your personal style. You can wear your hair down or up or even a partial updo. Really the sky is the limit for what you can create. There are so many different styles that you can choose from to create the perfect look. Create the perfect look can be time-consuming but we can at least help you make a decision. We can help you to narrow down some choices so that you don’t feel so overwhelmed by the choices available to you. There are plenty of options that include buns, waves, curls, twists and even updos. 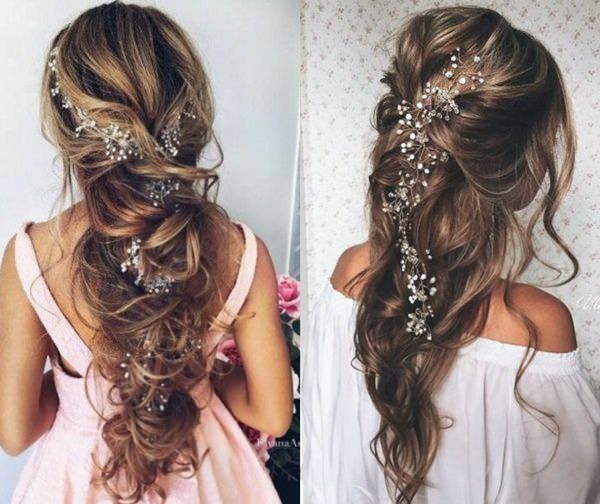 Though we have to say that straight hair is very rare when it comes to prom styles. 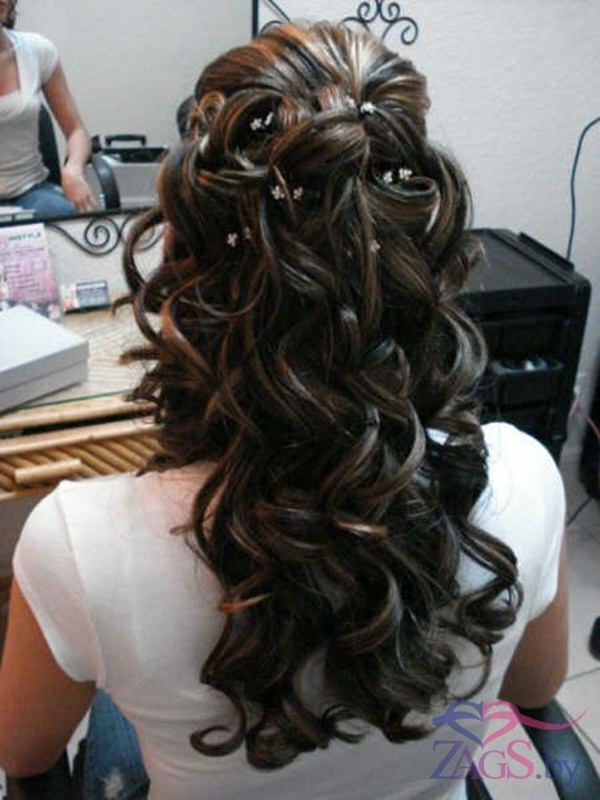 Curls are always popular when it comes to choosing a style for prom. It’s because it gives it a romantic air or even an air of elegance. 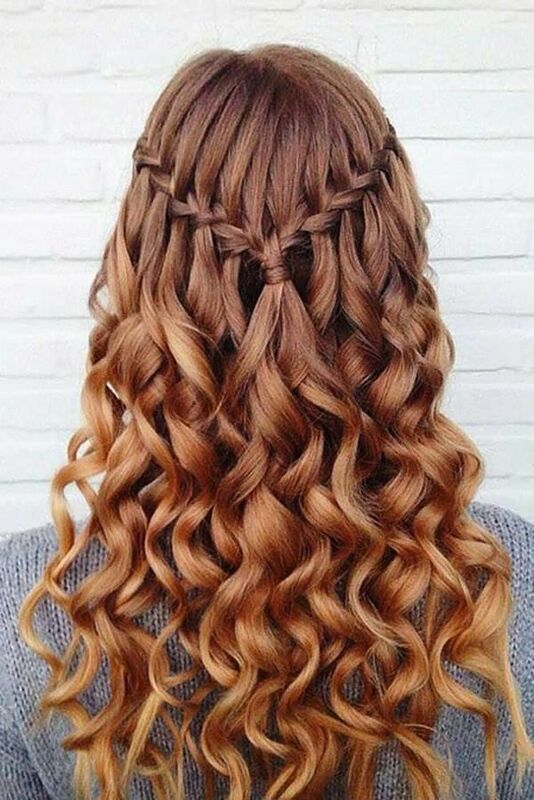 There is just something about curls that can perfect a prom hairstyle. It’s so pretty and whether it’s up or down, it makes for an amazing overall style. You may want to create the style yourself, or you can book an appointment with a salon. 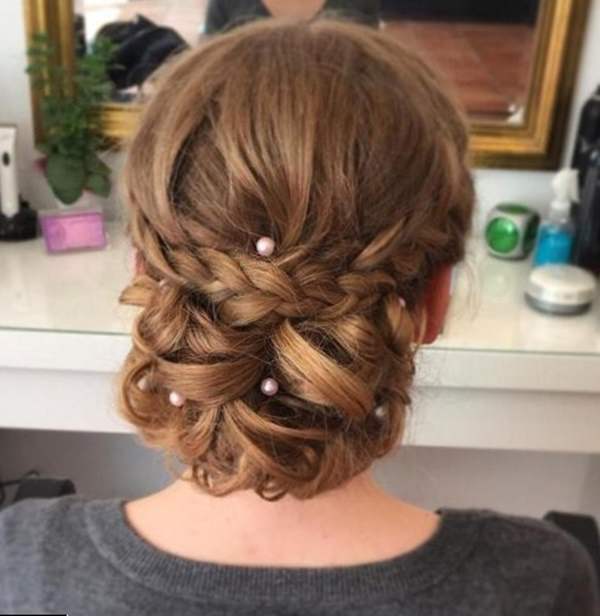 We advise you, however, to book a month in advance at least because prom season is quite the busy time for salons and you don’t want to find that you can’t get an appointment. You should bring in a few different choices as well so that the stylist can see exactly what you are looking for. It may also be a good idea to give your style a test run to make sure that its what you want for your day. The last thing you want is to get your hair done on the day of prom and realize that you don’t like it or that it’s not what you want. That can happen at times if you are trying out a look that you have never had before. 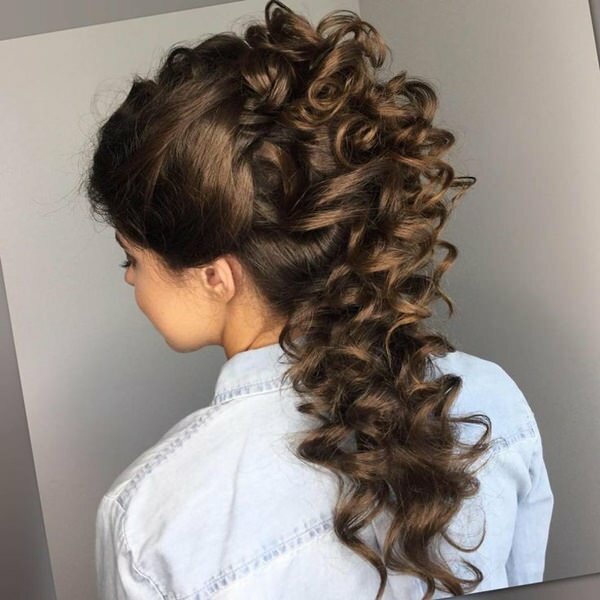 you might realize that it’s too fancy for you or just “not you.” If you can book an early appointment months before for a test run at the salon and make sure that you will really like the style before prom. That way you aren’t disappointed in the end. Your stylist may not have the time on the day of your appointment to start over and try a whole new style if you don’t end up liking your initial choice. 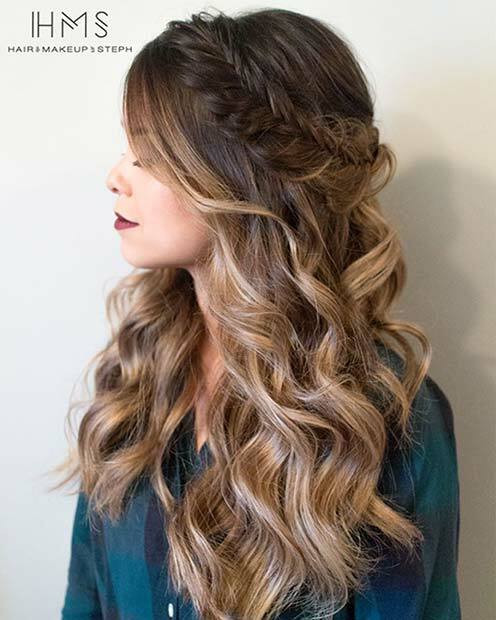 This gorgeous style is one for the books for sure. 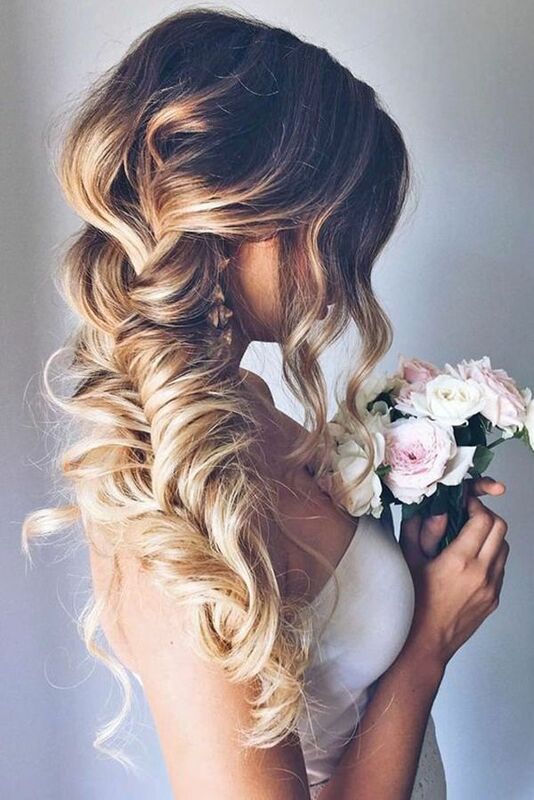 This is a partial updo that is filled with curls that go on for days. Add a bit of element to it to make it pop. You can make a normal hairstyle really amazing just by adding accessories. Whether it’s flowers or gems, find something that suits your dress as well as your style. This style is a little more casual. If you’re not looking for something that is really formal then this is the style for you. It’s a partial updo that has the back designed into a flower. It’s a special style that will surely draw some attention. It adds creativity to your look that wouldn’t be there in a normal updo. 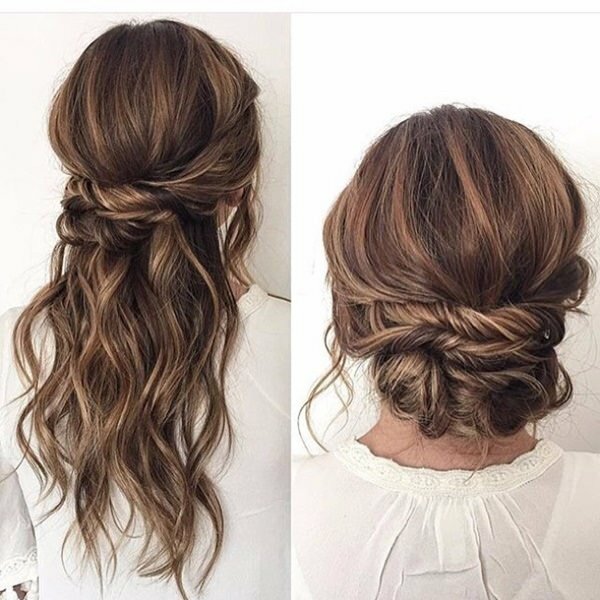 This style requires a lot of hair so you either have to have it or you need long extensions. It is gorgeous though and we love how romantic of a style it is. If you want a style with a lot of body to it, you can add extensions for the day so that you have more hair to work with. There are lots of extensions that you can just clip in without any commitment. 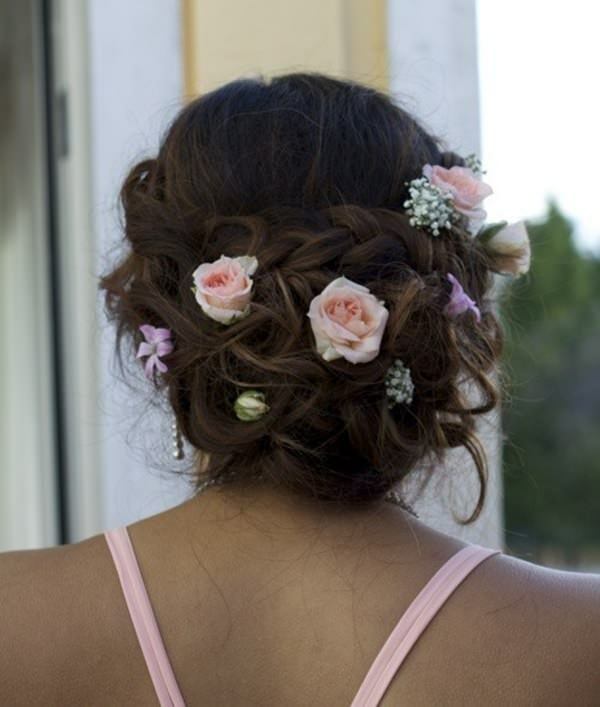 Another great example of a floral design in a partial updo. We love the added colors here as well. It’s up to you if you want to add different colors for your prom. It’s something that can add something different to your look. Especially if you add a color that matches your dress. It can really make your whole look stand out from the rest. But if you don’t want a big commitment then make sure you use a semi-permanent color so that it will eventually wash out. 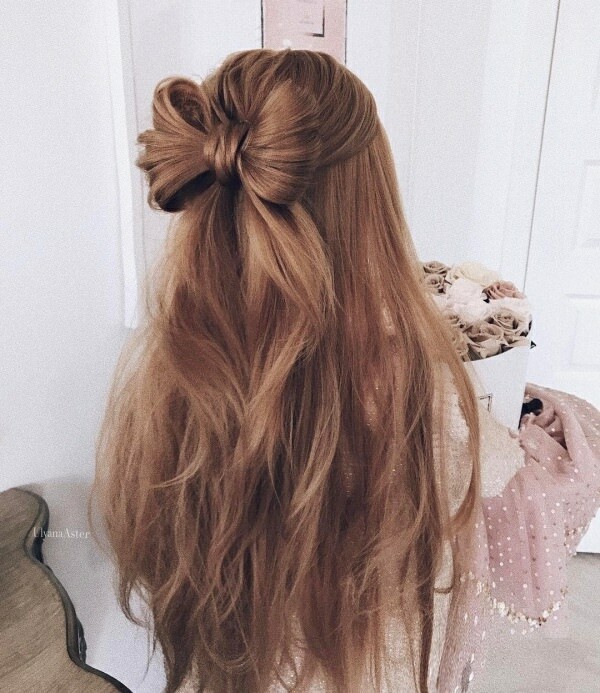 This style resembles a high ponytail except it’s all just pinned up to the top. The loose layers just cascade down the back. There are plenty of curls; it’s a gorgeous style. The crow in the front is also a nice touch. It can make a big difference to your style to add just a little bling. Two very different crowns that are different sizes. They are two very different ideas but both are very beautiful. If you like a tight braid or a loose one, it’s up to you. One style is tight and classic, a very elegant style. While the other is messier yet, it’s still pulled together. There is a lot more volume to it and there looks like there is more hair to it, even though there might not be. The other style is just more polished. A stunning design that will look gorgeous with a formal dress. If you want something elegant than this is the style for you. If you are looking for elegance and grace then this is the style for you. You get a smooth braid with an amazing looking bun. It’s an incredible hairstyle. If you want something a little more polished then why not try a high ponytail. The look is loose and soft and very elegant. 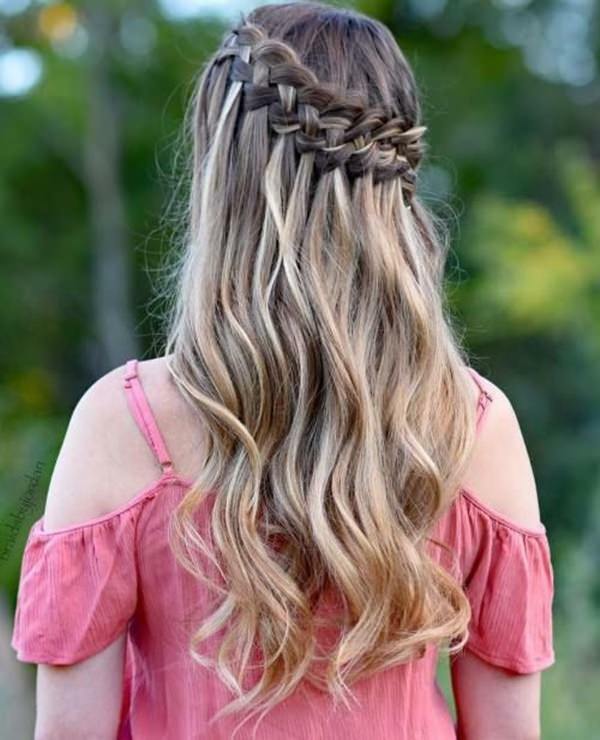 This wavy hairstyle is pretty simple to achieve but it’s a very beautiful design. 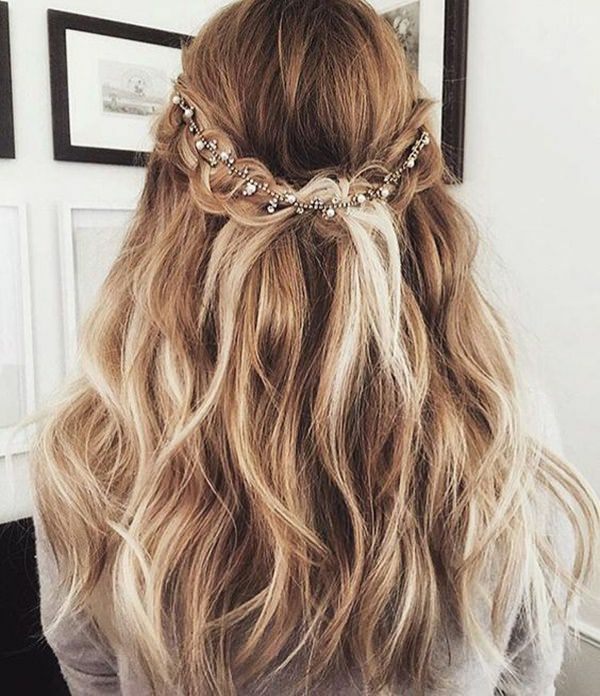 We love the waves and the pretty hair accessory. If you are looking for a glamorous hairstyle then you found it with this one. 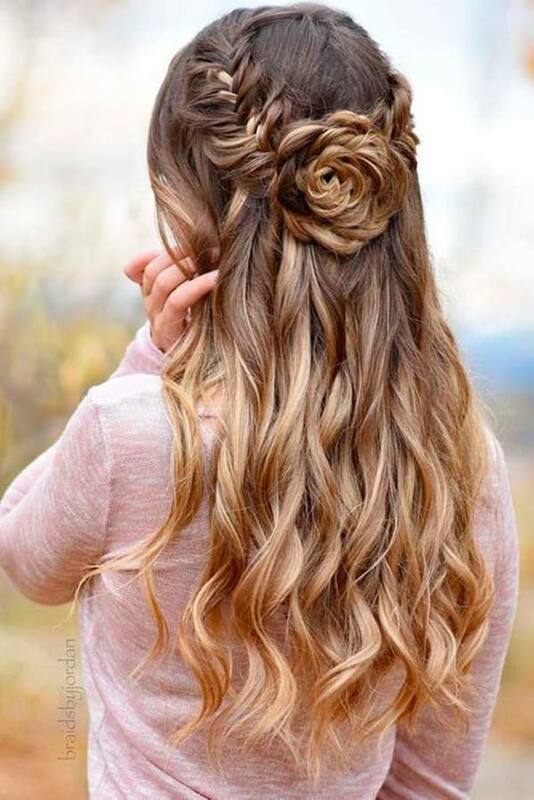 It’s okay to leave your hair down for prom and this is a beautiful style to choose. It is full of curls and it’s just gorgeous. There is more hair pulled up than it is down in this hairstyle. We love the braids that crown the head. 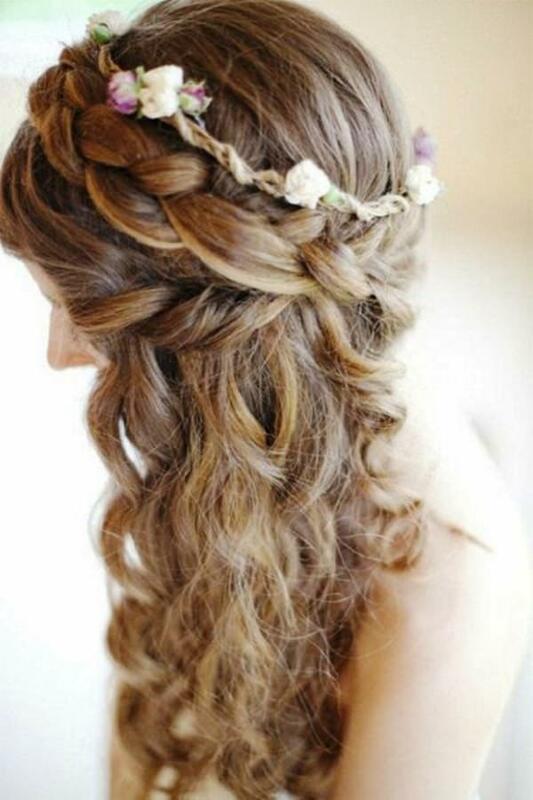 Braids are always a popular choice because they give off that romantic vibe. What is more romantic than the prom. 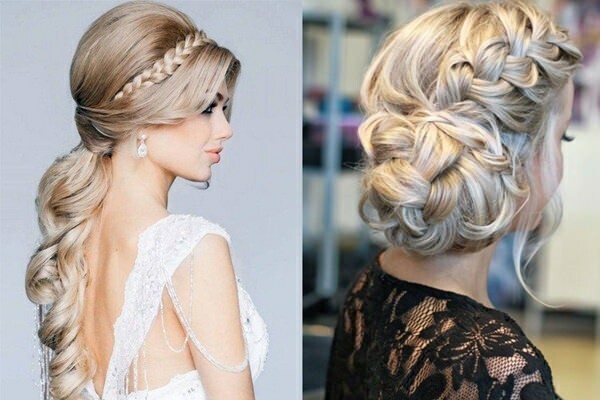 These updos are slightly different but both very beautiful. If you want something sweet for your prom then why not try out a bow designed right in your hair. 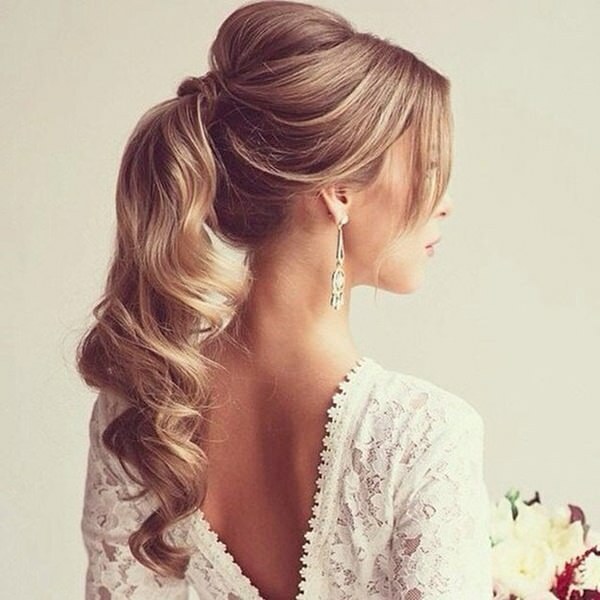 This is a gorgeous updo and we love how loose and flowing it is. There are pieces all over that are left loose and we just love it. If you wnat to knock the socks off your date then try this style. 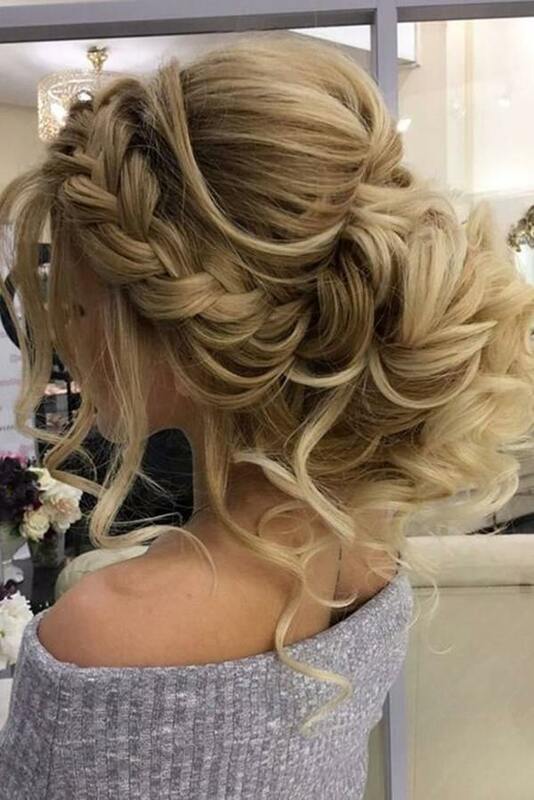 Another example of a partial updo and this one is full of curls. These are gorgeous styles that you can make more glamorous by adding some accessories. A great style that has a ton of volume. 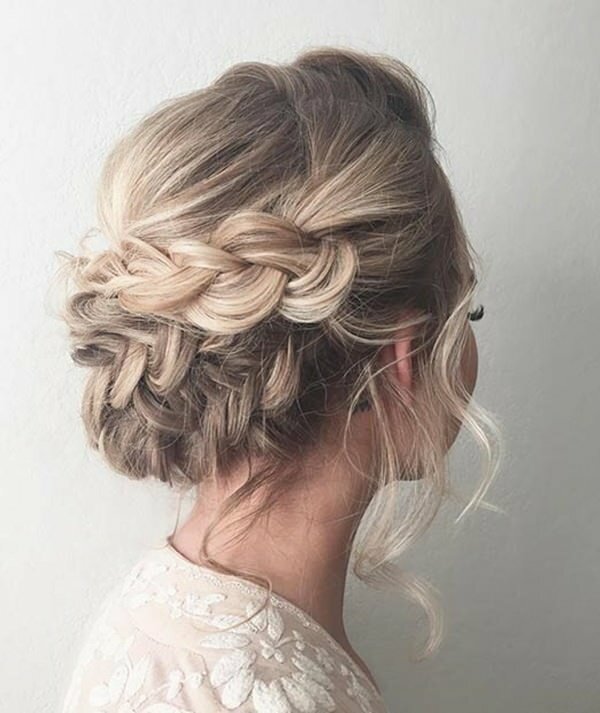 We have a loose braid and tons of loose curls in this partial updo. 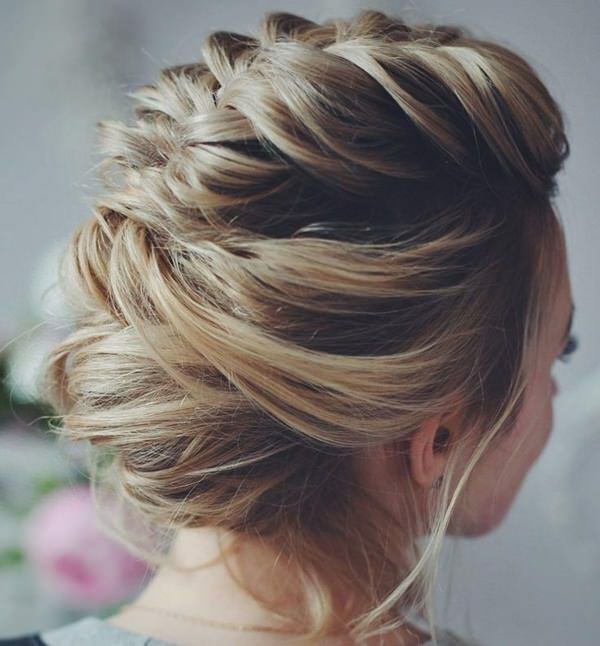 A great updo that has some braids as well as a beautiful bun. 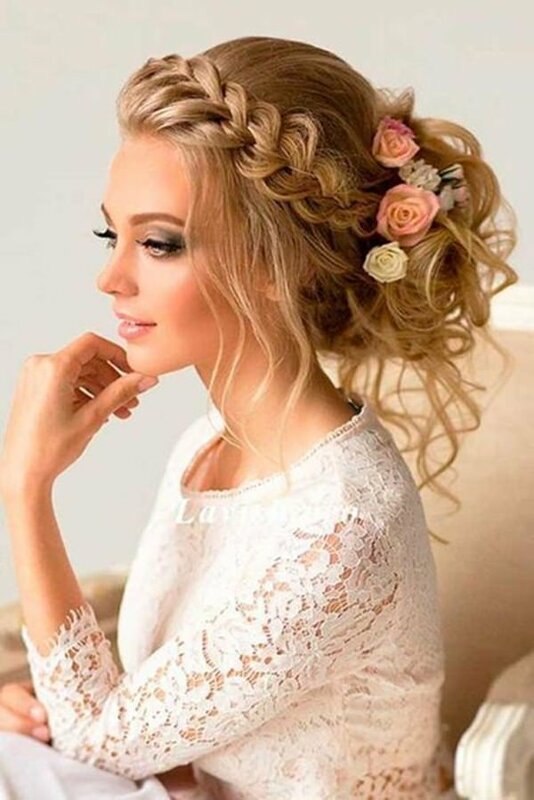 If an updo is what you had in mind then you can’t go wrong with this style. We just love this style because of its elegance. The fishtail braids on the sides combine to create a beautiful flower in the back. 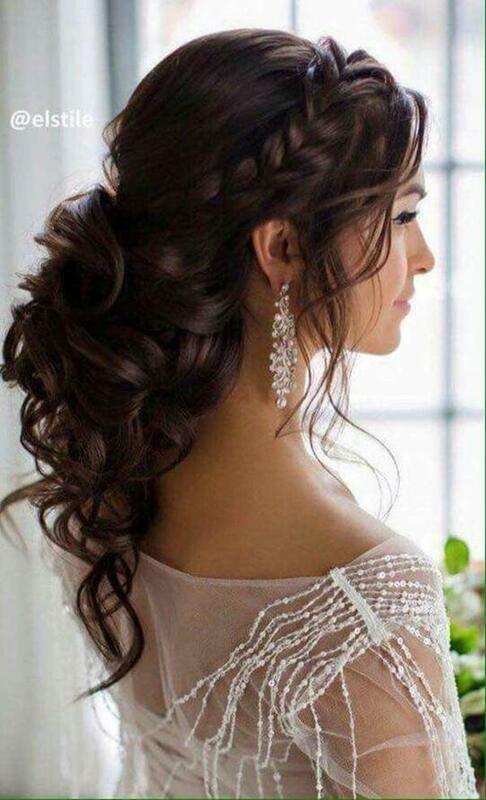 This is a very glamorous updo that would be perfect if you had a gown or an over the top dress. There is so much volume to it and we love it. You don’t need a glamorous style in order to create something beautiful. 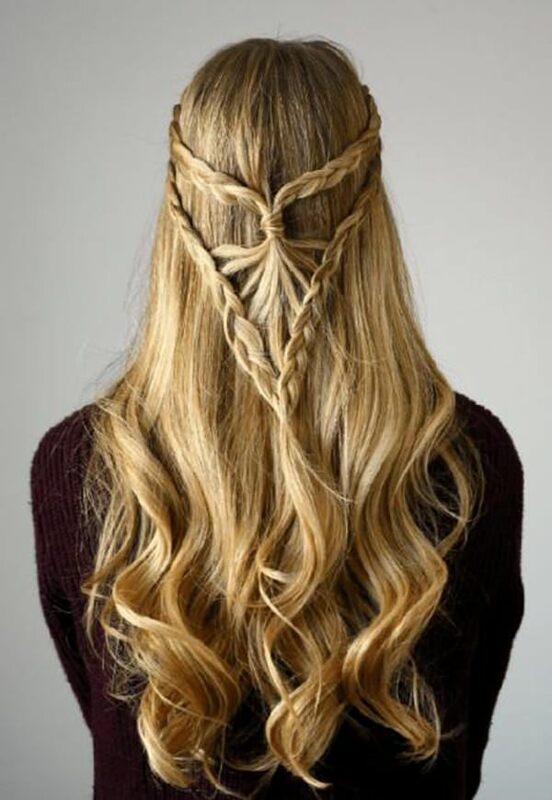 This one is stunning and it’s just made up of braids. 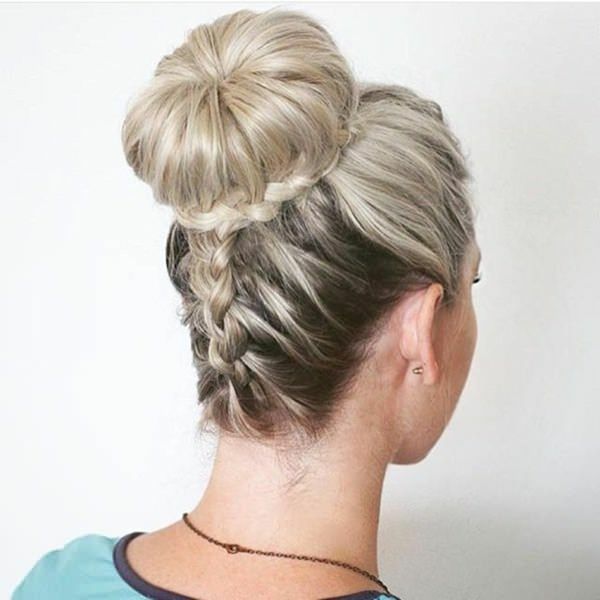 You are going to need a lot of hair to create this very high bun. There is a lot of thickness to this style. If you have thin hair it’s unlikley that you will be able to recreate this style. This is the same style just in different stages. If you want a partial updo or a full updo, they are both amazing choices. It’s a messy style that will look great with any style of dress that you choose. It’s always a good idea to try out your style before you go to the salon on the day of prom to ensure that you like a certain style. 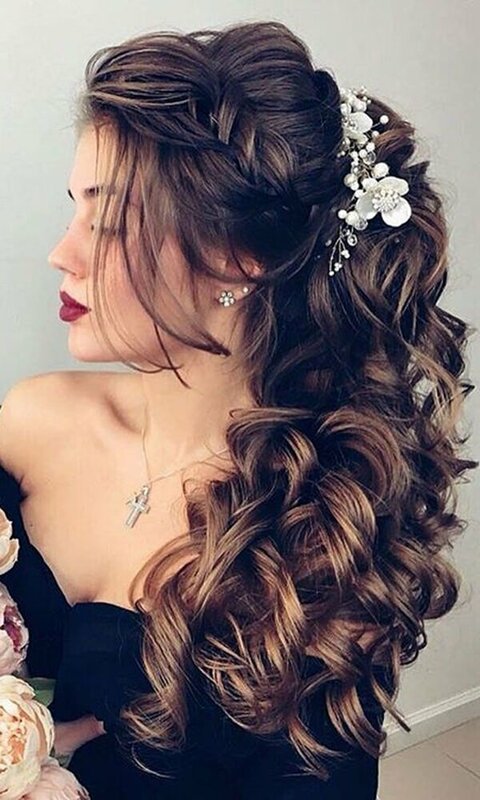 This stunning partial updo is shiny and curly. She has very long hair and it’s gorgeous with the curls. She has some pretty amazing curls to this style. They are large and bouncy! It’s a gorgeous partial updo that would look amazing for prom. 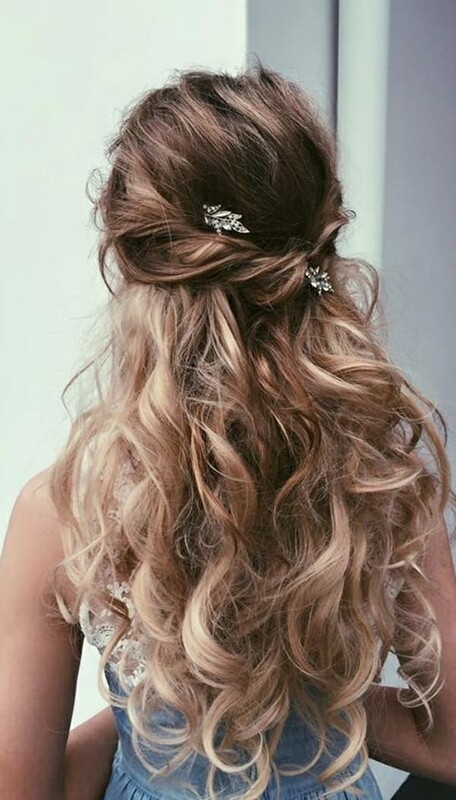 We love this updo because of all the curls. It is pulled up underneath and the rest is braided. The accessory is truly the final piece of the magnificent puzzle. This is a simple design, a simple wave to the whole look. The jeweled accessory looks great with this style. A simple accessory will make the whole look pop. 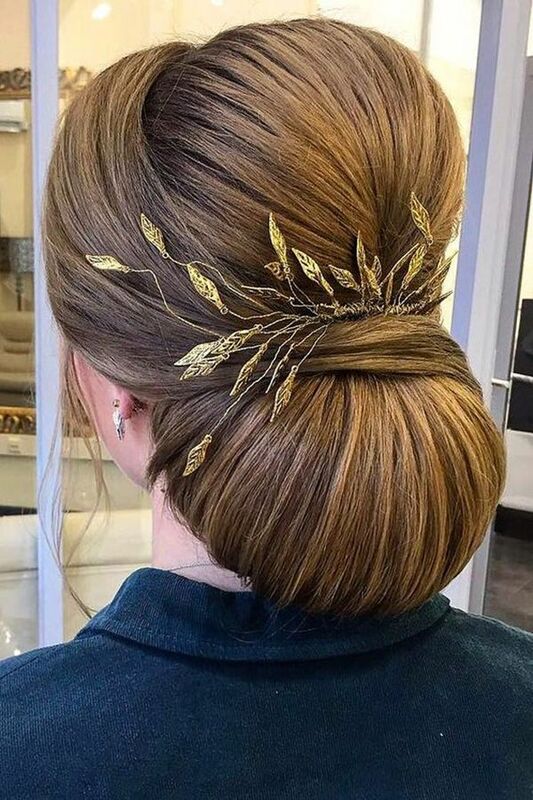 A crown glory that makes a simple hairstyle really stand out. We love the style and it’s a special one so try it out. This is a style that uis sure ot draw the eye. It’s elegant and glamourous all rolled into one. There are a lot of volume to the above potion of the hair. The stunning braid trails to the back and there is a bun created there. We love this style it’s breathtaking. It again will also require a lot of hair. A great style that is truly beautiful. The updo is curly and voluptuous. We love the accessory and you will love this style. 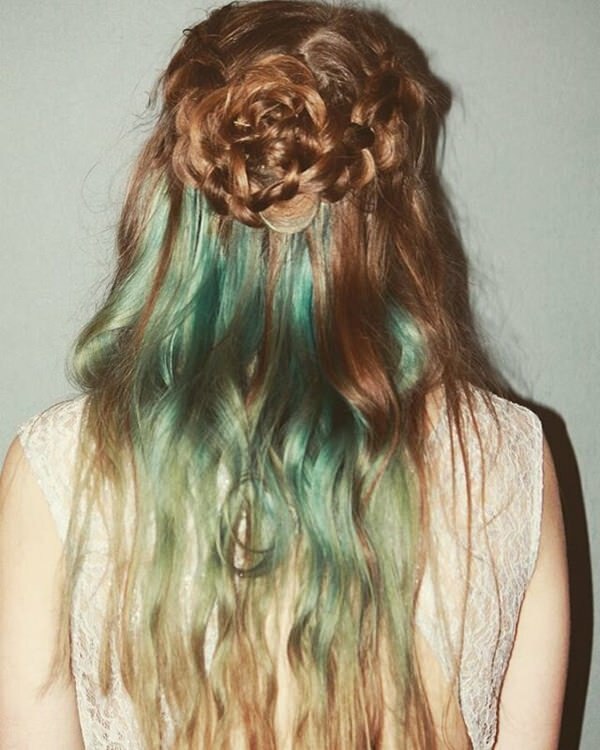 Loose braids are always great for updos because they look romantic. You are going to prom so you also feel like you’re in a romantic mood. 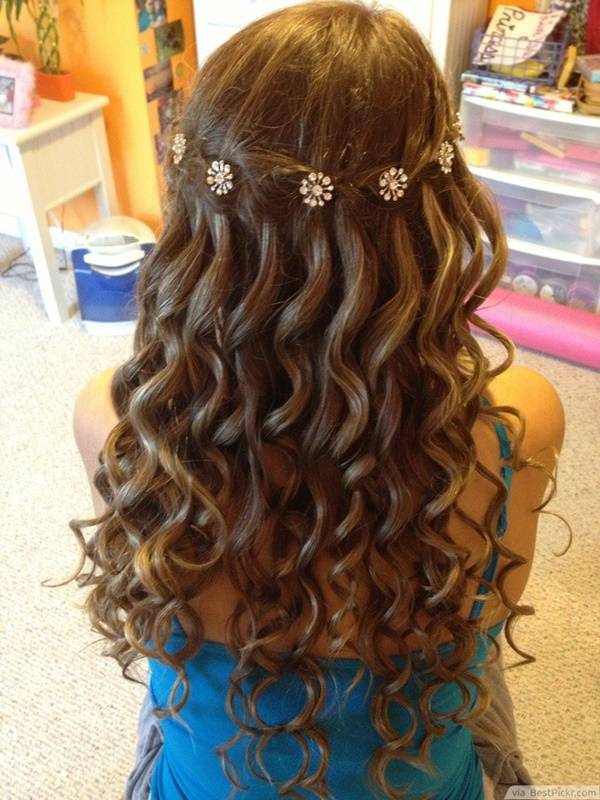 This is an amazing style if you like curls. They are piled up high and cascading down the back. It’s a beautiful style that is very formal. If it works on the red carpet then it’s sure to work for your prom. Why not have some celebrity style if you have the chance. 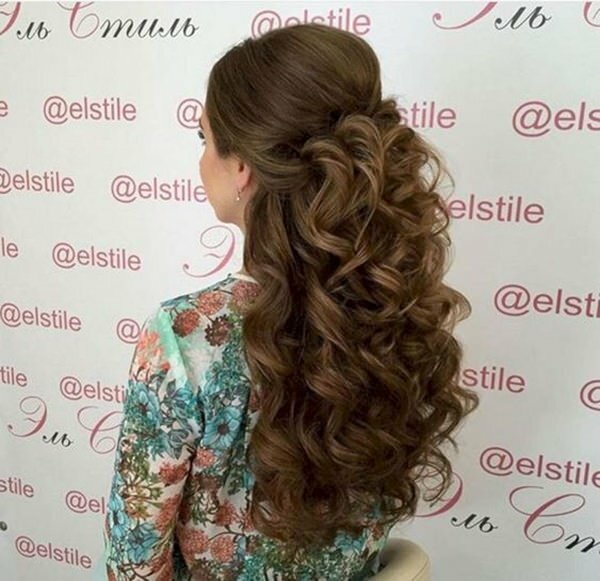 A beautiful style that has all the volume and curls that you need. 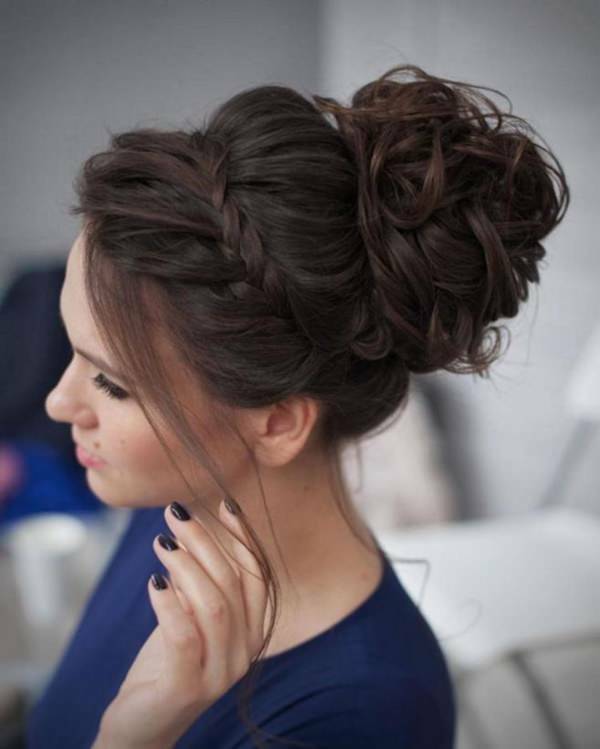 We love the style and if you are looking for an updo, then this is the one for you. If you had this partial updo wouldn;t you just feel like royalty? Of course you would because it’s an epic hairstyle. This is an amazing style that is left long and loose. Add a jeweled crown to it and you will love it. 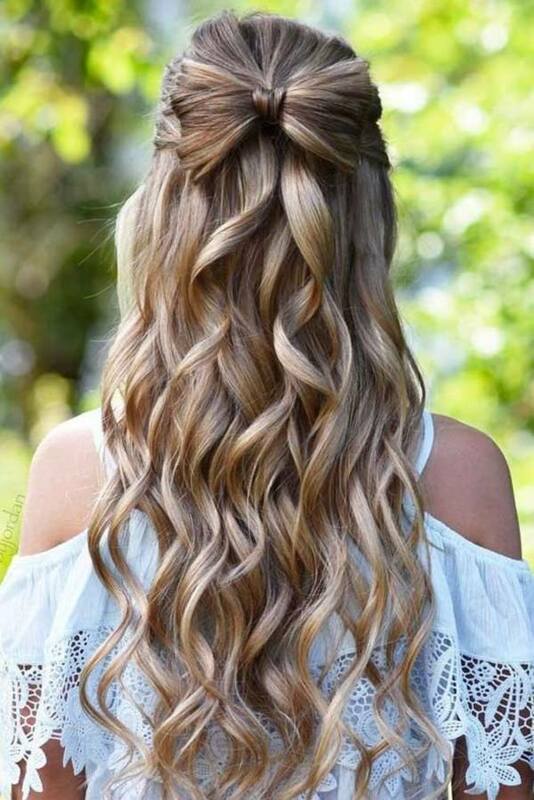 A great style that has a ton of curls. 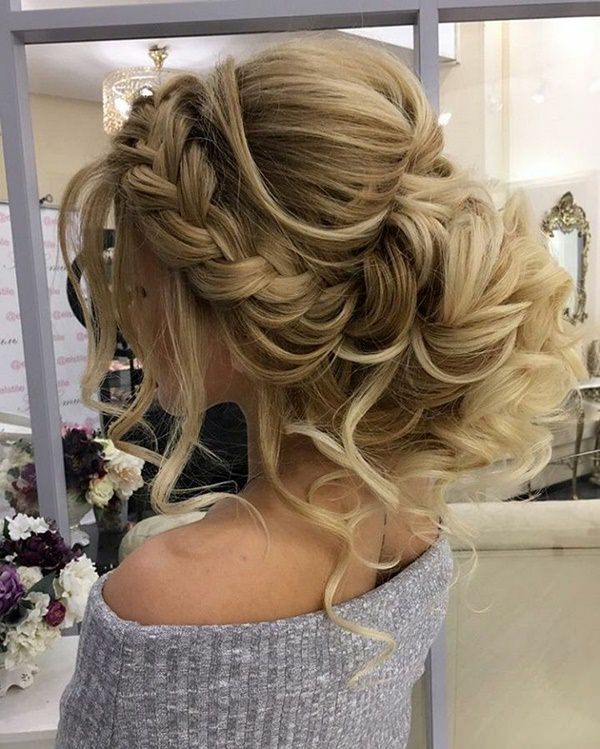 It’s a partial updo with a lot of curls. Again this style cannot be created without a lot of hair. 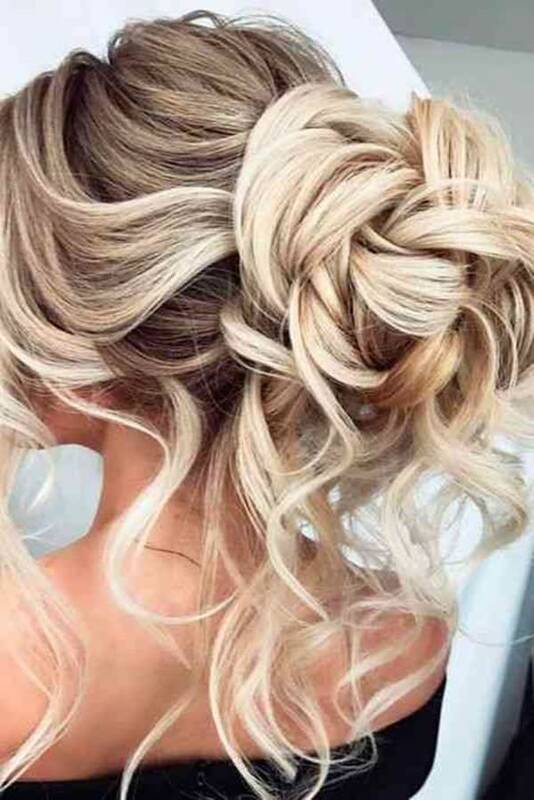 A partial updo that looks amazing. It’s fairly straight on top with bouncy curls cascading down the back. If you want this country singer’s style, then this is the look that you have to take to the salon. This is a simple styl ethat creates the beach look. If you want something that’s pretty but not overdone then this is the style for you. Have you ever seen a bun that looked so smooth? You could probably bounce a coin off of this style. It’s gorgeous and polished. 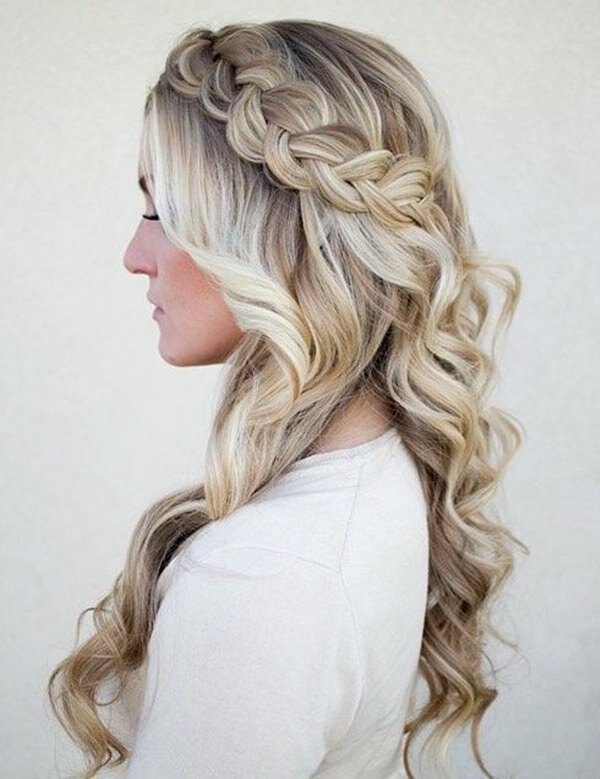 A great style that has a lot of flowing waves. This is definetly the look of a mermaid. This is an extraordinary updo because there are a lot of elements to it. It’s stunning and you will feel like a Greek goddess when you step into the prom with this style. This is an amazing style that will wow a crowd. 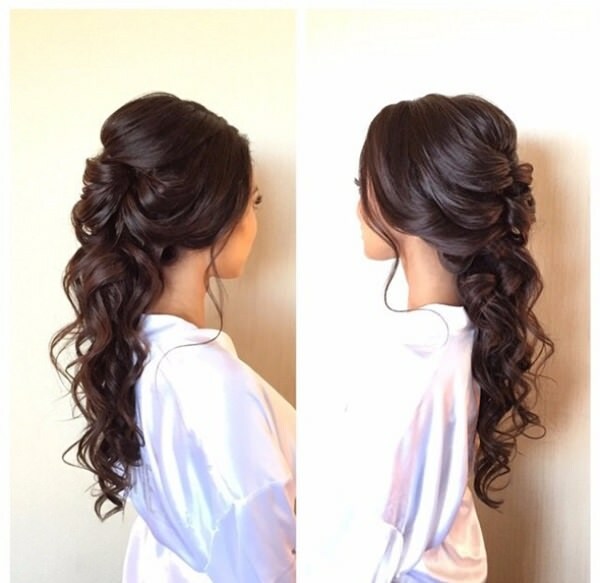 This partial updo has a lot of volume to it and it’s perfect for the prom. A simple style that is sure to make you happy if you want something a little more casual. If you’re not into fancy styles then this is the one for you. If you like braids then you are sure to love these beautiful designs. It’s a simple style but it will be the talk of the evening for sure. How can you not love a style like this one? It’s voluminous and it has a crowning braid. It’s an updo that anyone would love. This bun is soft and beautiful. 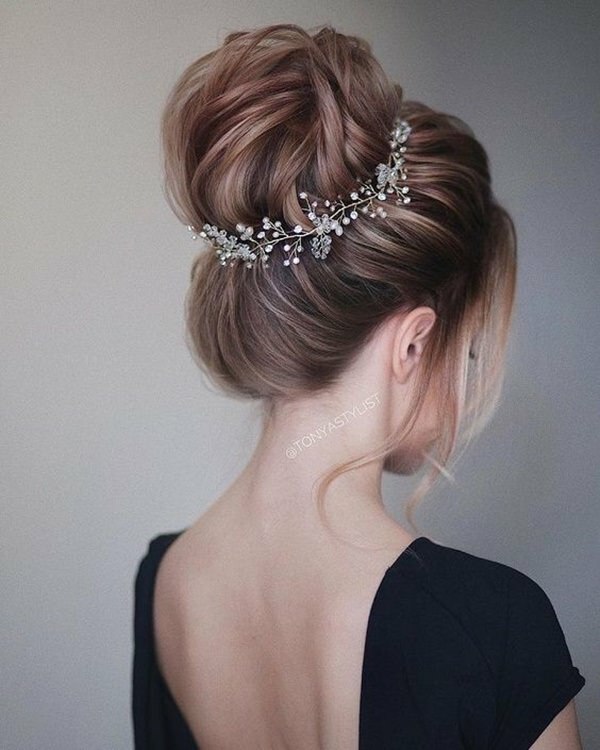 This is the type of updo that will make you feel like you are a princess. If you want your hair up for the evening then this is the style to try. A great style that is loose and beautiful. The braid is stunning and it must make her feel like she’s living in another era. There are double braids intersecting together here and it makes for an amazing look. You can tell here that it’s a look that will draw the eye. 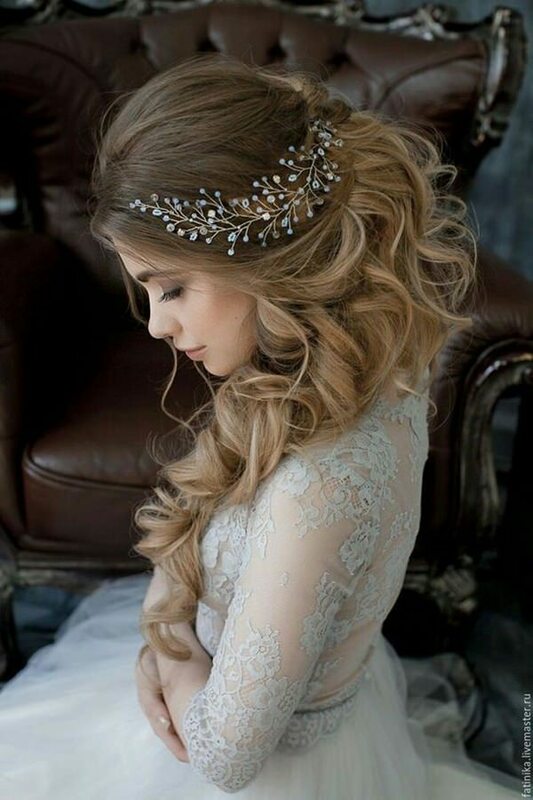 If you want a beautiful style that is full of romanticism then this is the style for you. 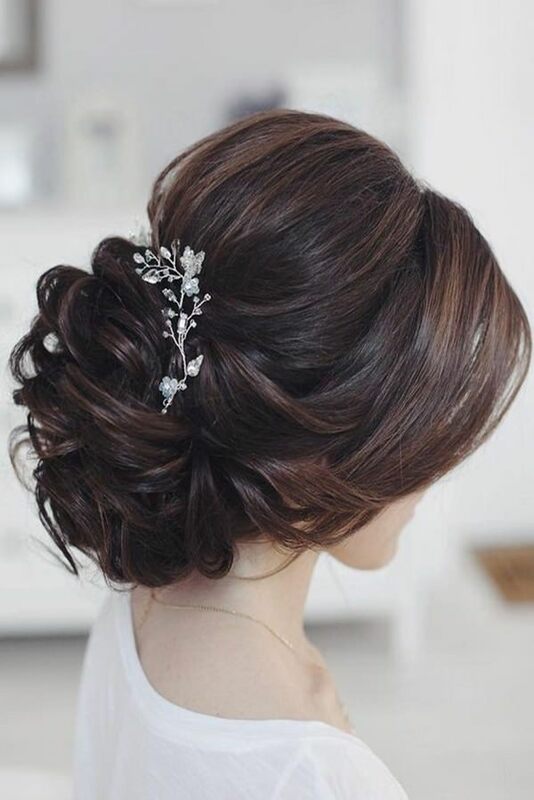 You will feell like a princess with this gorgeous partial updo. We can’t say enough good things about this hairstyle it’s magnicifent. It’s almost like a fishtail but it’s not. It’s beautiful and you will certainly be the talk of the night. 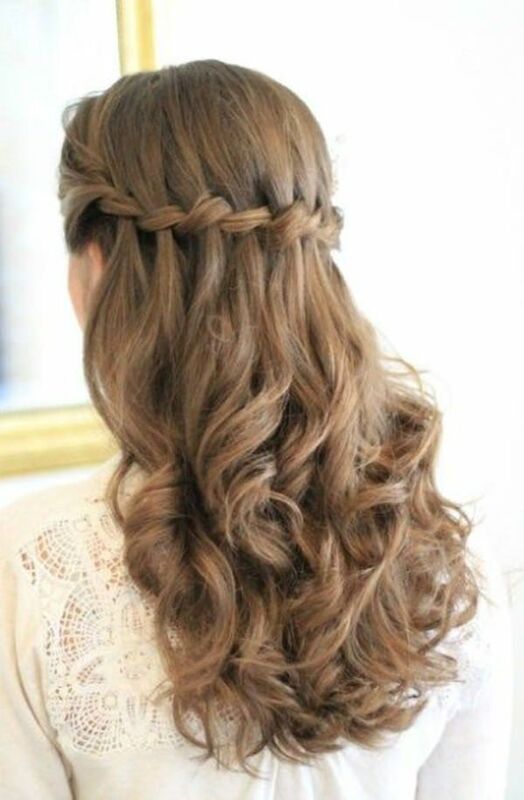 This is another great example of how you can have a partial updo that has braids and waves. This is a very soft look, a style that is loose and wavy. If you want an easy and simple style that you can put together at home then this is the one for you. This is another style that is simple and it’s a pretty look. If you’re not looking for a formal style, then this one would be perfect for you. 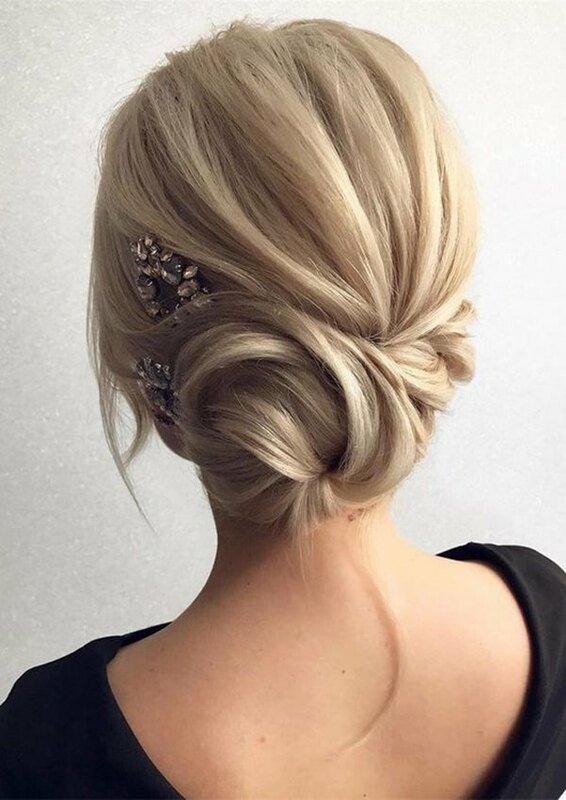 We just love this bun because it’s a classic style. You can never go worng with a class. There are braids and curls and really that’s all you need. 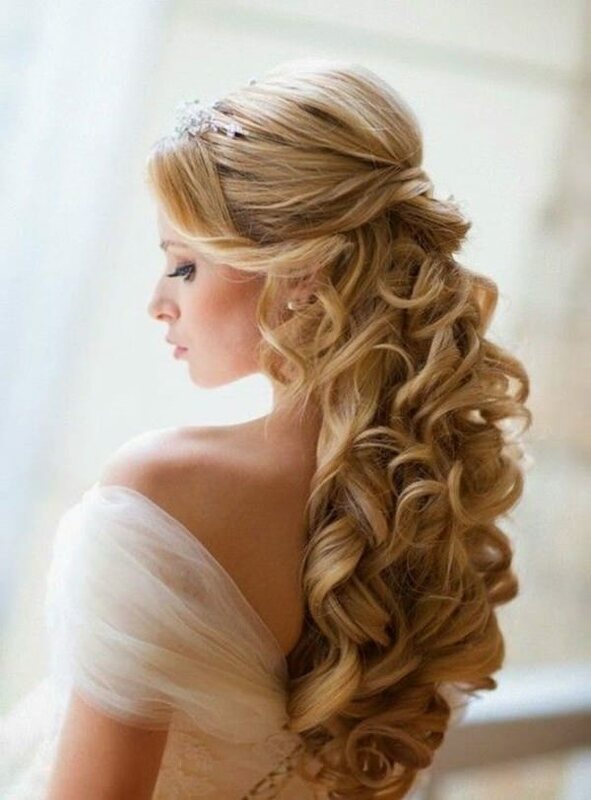 If you have a magnificent dress then you need magnificent hair to go with it. 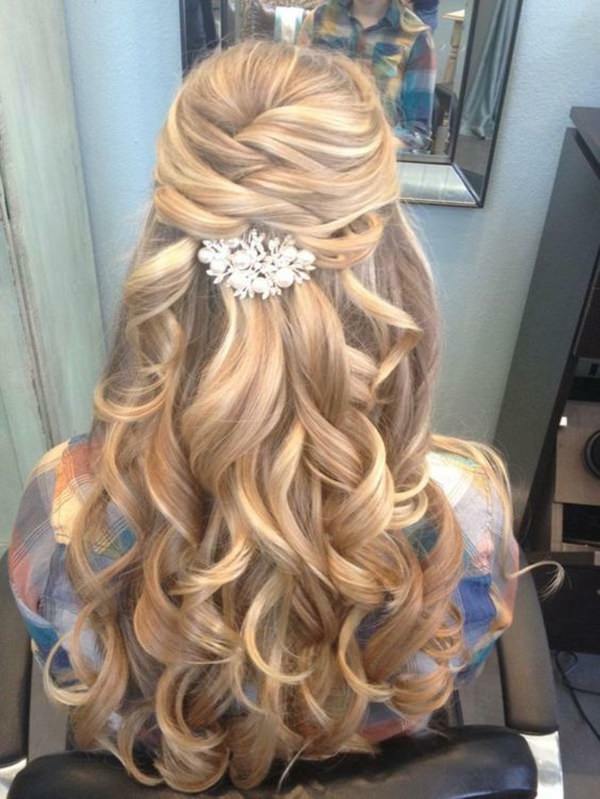 This style is soft and romantic, perfect for your prom. This is a cool braided look because the braid is only on top which creates a different look. The rest is in a ponytail that has some wave to it. 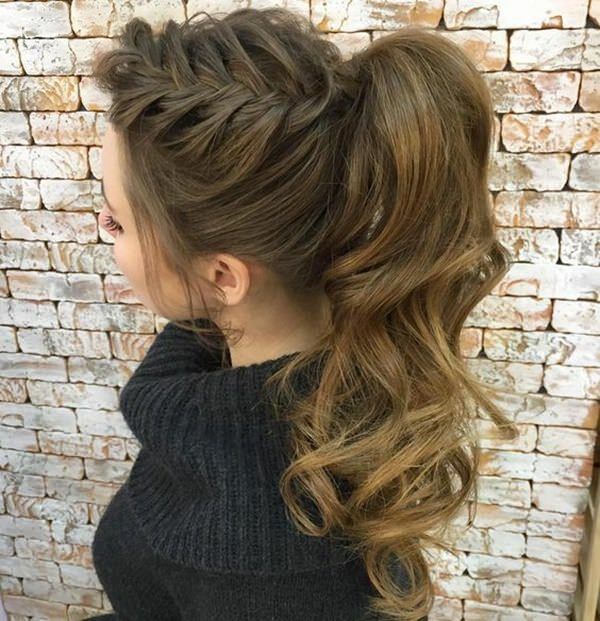 We love how this loose bun ends in a swirl. 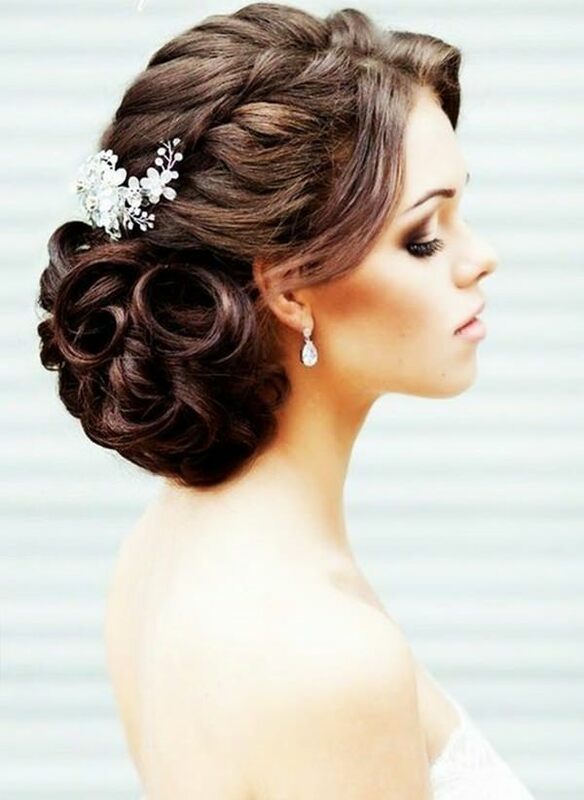 It’s gorgeous and it’s the type of updo that would look great with a strapless dress. These hairstyle are super popular and Taylor Swift is always rocking the half up half down styles. 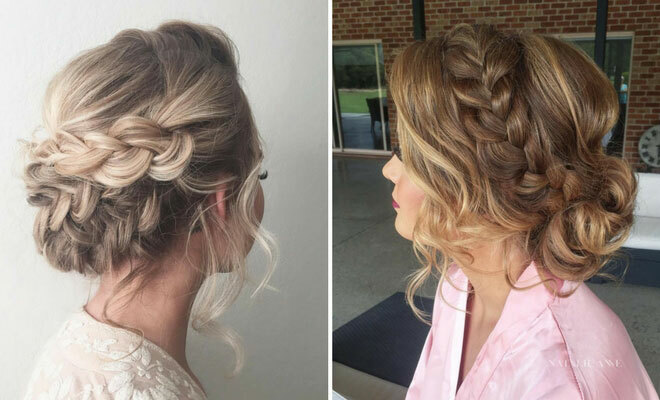 These partial updos are always popular when it comes to the prom. They are classic styles that are always beautiful. This color alone is very gorgeous. But with the partial updo with twist braids, it creates yet another great prom look. This one is a little more casual if you’re not looking for something that’s really formal. This bun is very fancy and would be perfect for a ball gown. A lot of work was put into this style you can see a braif going up along the base of the head as well as around the bun. It’s gorgeous but you also have to have a very fancy dress to suit it. 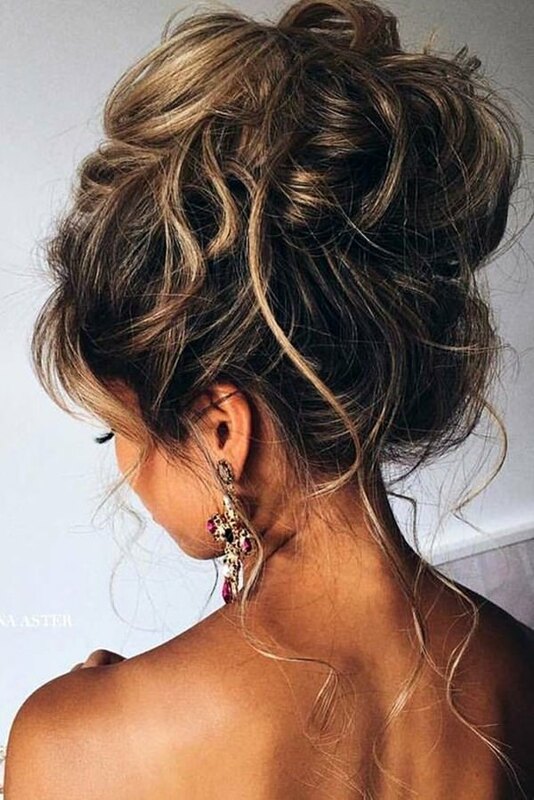 This is a stunning updo that has a more of a messy style rather than a polished look. It’s all in what kind of style that you want. you can make a basic look more fancy by adding accessories. This is a gorgeous style that looks very glamorous. It’s a stunning style that will really make an impression for your prom. We love this style because it takes a standard partial updo and creates something amazing with it. The interesecting layers on the back are truly beautiful. There is a lot going on with this updo. There are braids and loose tendrils and we love the massive volume on this style. You need a lot of hair once again to pull this off so extensions might be something to consider. This style is truly precious and it’s certainly bound to catch the eye. It’s a creative style that shows off a little creativity with your overall style. It’s pretty and will give you an air of innocence.